Some of you may have been with us since the first course Citizen Science: From Soil to Sky, while others may be about to gain new learning for the future of their growing as this free course returns to Future Learn! 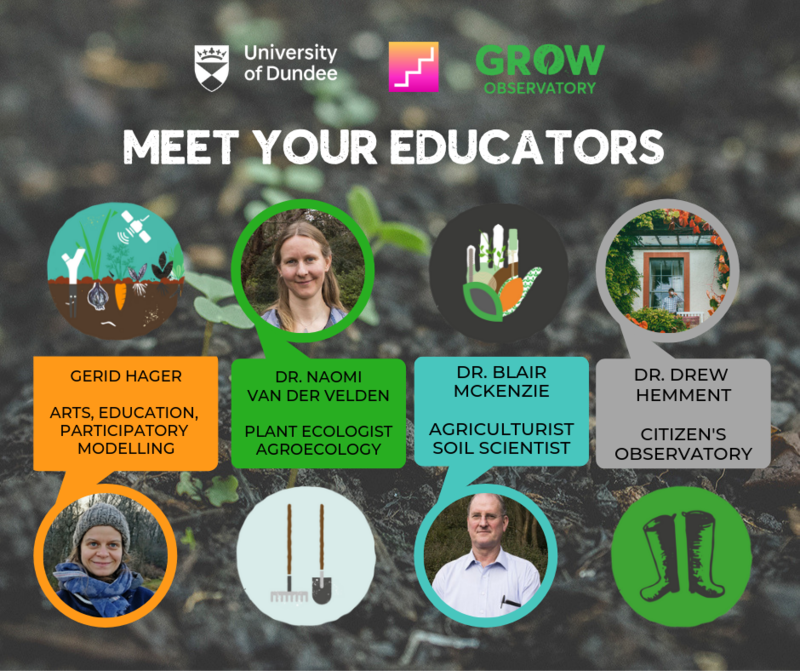 Join growers and citizen scientists across Europe on February 11th whether you're new to the GROW Observatory or want to refresh your knowledge from last year. Learn how to understand your soil and explore global environmental soil issues by becoming a citizen scientist. Sign up and complete each module in your own time and if you complete 90% of the course you will receive a free certificate from FutureLearn!